We are always pleased to see the successful rollout of a project which Shopworks has been involved with and the launch of Costa Coffee’s new store format to improve the in-store experience for its customers is a good example. Costa which has more than 2,300 branches aims to invest in continual innovation to ensure it maintains and grows its customer base. Working closely with Costa’s Innovation and Store Design team we delivered research-based category management insights which examined every detail of the customer experience. This allowed us to identify improvements to the store layout including the counter and retail communication. The subsequent redesign put theatre and service at the heart of the customer experience. The interior was re-engineered to make the counter the most important element and to create more interaction between the barista and the customer. Additionally, we identified improvement opportunities in Costa’s approach to retail communication, specifically the menu and key communication touch points. 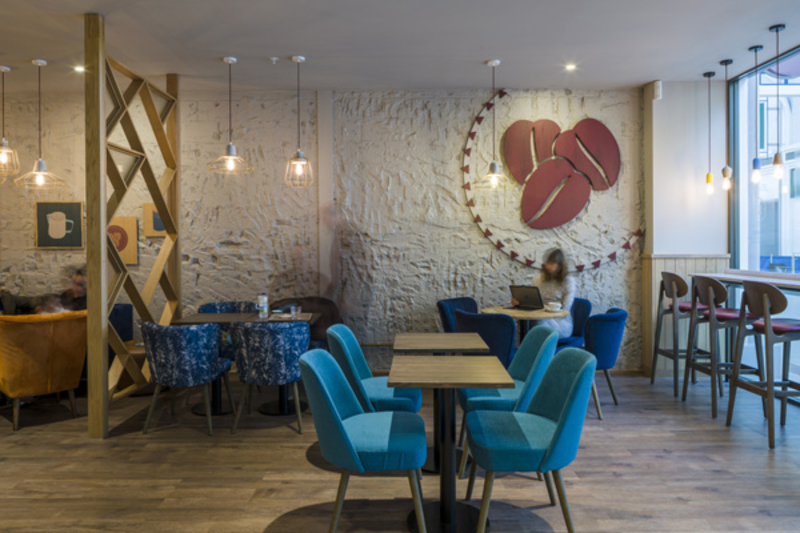 A post-redesign study at the Costa Coffee House in Wandsworth found that visitors wanted to come back more, for more occasions and were willing to spend more. Previously, 8.4 per cent of customers found the space ‘very appealing’, and post-redesign this was 33.3 per cent with 90 per cent extremely likely to revisit versus 65 per cent pre-refit. Read the full article in Retail Focus Magazine.